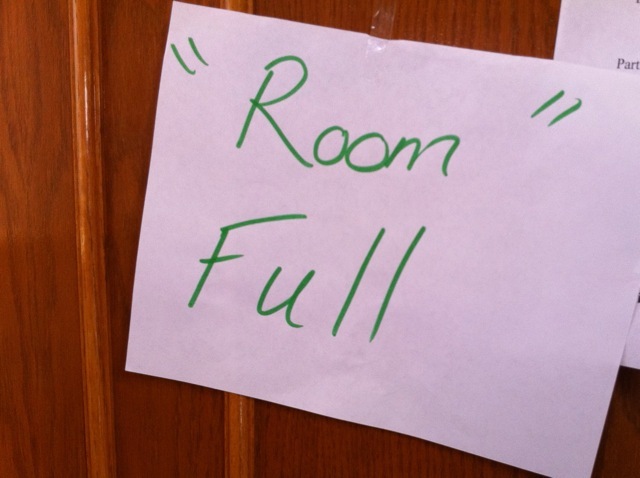 The “Blog” of “Unnecessary” Quotation Marks: full "room"
The anonymous submitter tells me this was spotted at Stanford. I guess it's too big to really be called "room" or perhaps too small, or too well-lit. if it's a dorm, then it might not be a room-- my mother used to come into mine and say "well, this mess certainly is a place"
If it's full, then it's out of room. See? Strictly speaking, if it's full, there is no room.